Tutorial on how to replace a bad knock sensor. 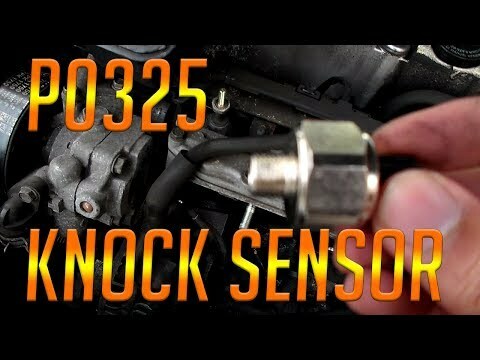 Knock sensors are solely used for the purpose of sensing when your engine is “knocking,” or sensing when there is exploding in the air/fuel mixture in a way that delivers less power and can also damage the engine if prolonged. When the engine “knocks” there is an excessive amount of NOx that is released. When trouble code P0325 is set, this means that the knock sensor 1 in Bank 1 is not operating properly. maybe you can measeure old and new sensor resistance? Great video. Full explanation and step by step. Mostly good images too. Thank you. I've done mine yesterday and again last week.so put two sensors in it And I've still got the eml light on I have a honda stream with the same engine.. Cant seem to get the light off. I don't have a computer like you but I've reset the ecu by pulling fuse and disconnecting the battery. But after about 5 mins driving the light just comes back on. Great video! Easy step by step. Please leave a LIKE it only takes 1 second.